SNAFU! : Operating cost for the F-35 has to come down at the same time that mission capable rates must ramp up by double-digits...in ONE year!!!! 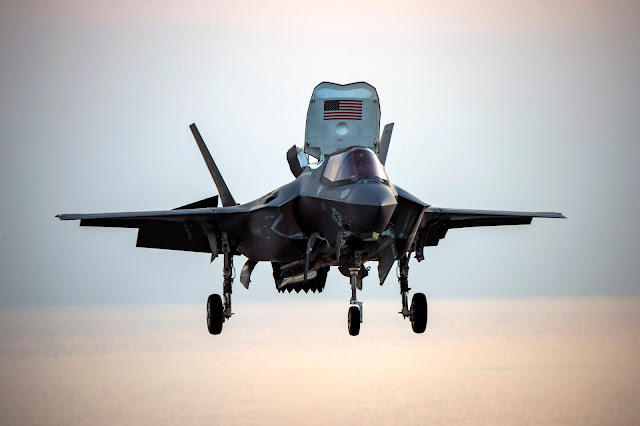 Operating cost for the F-35 has to come down at the same time that mission capable rates must ramp up by double-digits...in ONE year!!!! However, there is a very wide spread in readiness rates for the F-35 fleet, depending on when they were built. Generally speaking, the older an F-35 is, the lower its readiness rates. * No way in hell you can do that in one year. The fleet will be pencil whipped into compliance with the directive. * Did you catch the part about "older" F-35's being less mission ready than those built later? They're setting up the plan to discard or turn those jets into parts birds but they'll probably strike them from the roster. Have you noticed one other thing? The focus of the entire directive seems aimed at the F-35. What about the other aircraft in our fleet? The MV-22, KC-130, F-22, B-2 and other aircraft all need a solid look-see. We are becoming aviation centric across the board with lethality in the ground forces eroding in favor of calling for fire from aircraft. The idea that many won't be able to answer that call should be chilling.